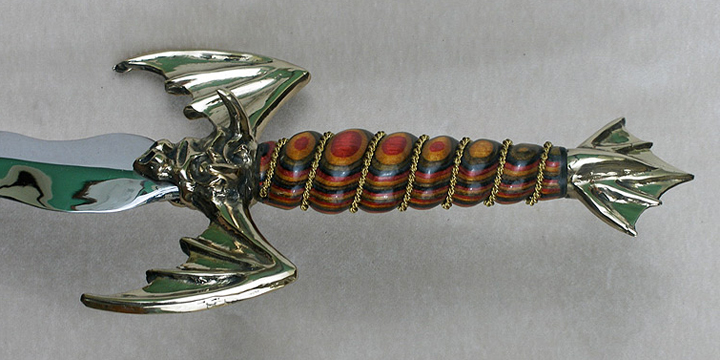 The first dragon dagger we ever designed. Head and wings form the quillons of this knife, with a pointed tail as the pommel. Each knife is hand-made to your specifications, with many options available.